Well, it's that time of year again. No, not the time of year when I bore you with posts dedicated to my favorite games that were released in the last 12 months (that doesn't happen until next week). Rather, it's the time of year when I grouse about all the games I failed to complete during that same time frame. 1. Corpse Party (PSP)--Why did I stop playing this digital-only title after thoroughly enjoying its introduction? To be completely honest: I got stuck. Normally, that wouldn't be a problem for me, but for some dumb reason I was stubborn this time around and refused to turn to a walkthrough to get myself out of the situation. As you probably can imagine, I only put up with that for so long before moving on to something more enticing. I swear, though, that I'll return to Corpse Party sometime soon--especially since the sequel is set to hit PSN anytime now. 2. 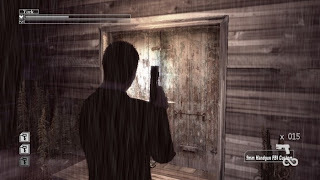 Deadly Premonition (Xbox 360)--You might think I gave up on this quirky adventure for the same reason as the one stated above, but that actually wasn't the case. Instead, I walked away from Deadly Premonition early in the year because I just couldn't take any more of the combat scenes it was throwing at me. That said, I didn't intend to stop playing the game for good; I just wanted to take a bit of a breather. So, expect me to tackle this Hidetaka "SWERY" Suehiro-designed title with renewed vigor sometime in 2013. 3. Kirby Mass Attack (DS)--I honestly have no idea why I stopped playing this one just a few hours into it. I'm guessing another game caught my attention and wooed me away from it--although for the life of my I can't come up with which game accomplished that feat. Anyway, much like Deadly Premonition, I quite liked what I'd experienced of Kirby Mass Attack's unique gameplay and charming (as always) graphics before the game inexplicably fell by the wayside, so I think it's a fair bet that I'll pick it up again sooner rather than later. 4. Super Mario 3D Land (3DS)--Some of you are sure to be shocked to hear that I moved on from this game before seeing its end credits. Well, prepare to be shocked even more: Not only haven't I finished it, but I only conquered a few of its worlds before turning my attention to Mario Kart 7. What was it about this particular Mario adventure that left me feeling a bit cold? I'm not entirely sure, although I think the tiny levels that I recall encountering had something to do with it. I've since been told to stick with the game, though, so that's what I plan on doing as soon as my 3DS backlog dwindles at least a bit. 5. 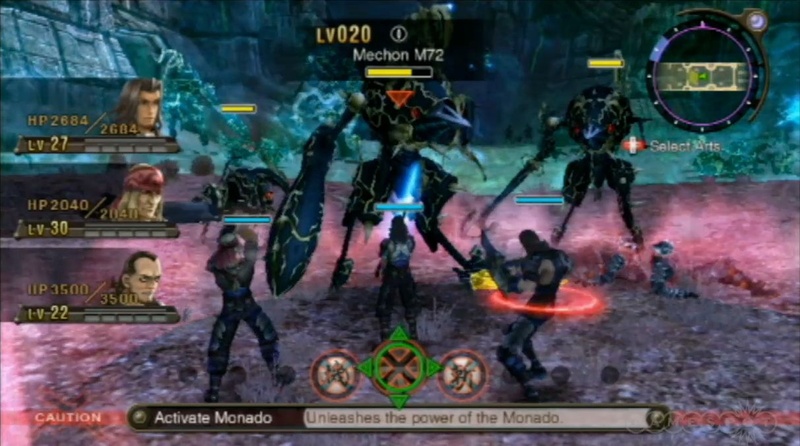 Xenoblade Chronicles (Wii)--Here's another headscratcher--or at least it is to me. The reason: I loved the hell out of this open-world RPG before it dropped off my radar. This time, though, I have a valid reason for walking away from a game I was thoroughly enjoying beforehand. Basically, I went on vacation--and when I returned, I was swamped with work and ... well, I'm sure you can imagine what happened next. Considering my jaw was regularly planted on my chest while I worked through the first 10 or so hours of Xenoblade Chronicles, I don't think it'll take much arm twisting to convince me to go back to it at some point in the next 12 months. How about you gals and guys? Are there any games that you failed to finish in the last year or so that you'd like to wrap up in 2013? 1) Tokyo Jungle -- I doubt I'll ever get 100% on it, but I'm hoping I can at least finish a game, which I guess is making it through 100 years. It's pretty tough tho. 2) Hell Yeah - I really liked what I've played so far so I'm hoping I can get back to it. It's a downloadable 2D platformer which nobody talks about much. Sega published it, but it's French, not Japanese. 3) Super Paper Mario - my favorite Wii game; I've been working on this one for years. I just hate the Wii D-Pad SO MUCH -- it kills my thumb! I'm so close to finishing it tho. Ah, you just mentioned a ton of games that I hope to play someday, Steve -- with those games being 3D Dot Game Heroes, Tokyo Jungle and Hell Yeah! What did you think of 3D Dot Game Heroes, by the way? I love Arkedo Studio, so I've definitely had my eye on Hell Yeah for a while, BTW. Just haven't picked it up yet because of a glut of end-of-year purchases, etc. Anyway, I hope you finish all three of the games you mentioned in your comment in 2013! 3D Dot Game Heroes is the best PS3 game hands down. Sure it's a Zelda clone, but I had more fun with it than I've had with any Zelda game in the past 10 years. It's Lego Zelda done right. It's Zelda for adults. It's got a wicked sense of humor. It's gorgeous, and nothing else looks like it. It's packed with side-quests, and I think I spent about 60 hours on it total. I could go on and on, but really it's the best reason to buy a PS3. That's great to hear, Steve! It's been on my PS3 wish list since it was first announced. Guess I'll finally have to get it--and a PS3, of course--eventually, eh? I tried Xenoblade, and got all the way to the abdomen, and just put it down. It's so boring, and battles seem to just be selecting the same 4 attacks and then waiting for them to cooldown. 1) The Last Story. I don't know why I lost steam on this, but it's my favorite RPG in years. Lowell is so hunky. 2) Skyrim. I always lose steam after every few quests, but my friends are obsessed, and the DLC looks cool. 3) Kirby's Dream Land 3. I think it's the only Kirby game I haven't finished. I've been working on it in Kirby's Dream Collection, but the level design is so terrible. I still want to see the ending, though! Hey there, tone def! Don't worry, I'll get back to 3D Land. I think I just started playing it at the wrong time--i.e., right around the time I picked up Mario Kart 7. As for Xenoblade: I really liked what I played of it, although I, too, had issues with various parts of it. Also, I personally prefer turn-based RPGs to ones with MMO aspects, so it's possible that in the end this just won't be 'my kind of game,' despite the fact that I've enjoyed it somewhat already. I'm glad to hear you're enjoying The Last Story, though. I've ignored it up to now as I'm just not sure it's my thing. I like knowing the main character (??) is hunky, though! I read a lot good things about Xenoblade Chronicles but I guess I have too many FF-titles to finish. 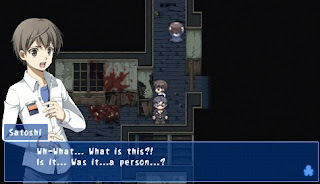 And about Corpse Party: I just don't like the look of the game AND it is a digital game so... yeah. To be honest (omg can I tell this anybody without being executed?) I nearly have none of my games finished. That's mainly because I hate games to end. Hmmm 2013 will be a tough year again because of all the great upcoming games! Oh and Pikmin 3 of course. Quite the list. I too never finished Mario, and I've wanted to try both Corpse Party and Xenoblade, but just haven't had the time yet. Here at year's end, I too was looking over incomplete titles and games I haven't had a chance to try yet for my blog. Woof! That's definitely quite a list. I'm sure I have quite a list of 'to buy in 2013' games myself, but I'm not sure I want to list them ;) Anyway, you and I will be poor together next year, OK? Funny/interesting that we've both failed to finish a number of the same games, Chalgyr. I wonder if others have run into the same issue with these games or if it's just a coincidence? Yeah, I'm most interested in seeing what Nintendo does -- if anything --about Animal Crossing when it comes to the Wii U. I really can't see them *not* releasing a Wii U sequel, but how would they have it differ from the 3DS version? Other than making it look even better, of course? Regardless, I'm curious. Hm well, I guess they would add some new story-content and some new features like the city was new in City Folk and the "mayo"-thing and the new stores in New Leaf ( anf of course better graphics). I mean, thats all they ever changed from one part to the next right? Basically it stayed the same since the NGC-part. I know, but I think that they'll have to continue to change things up and add new elements to any Wii U version that's released, otherwise they'll have another City Folk situation on their hands (i.e., many gamers, even those who regularly like the AC series, will reject it or dislike it). We'll see! How far did you get into it? Igor: I don't know exactly how far I made it into the game, as it's been a while now since I've played it, but I think it was 6-9 hours? Anyway, I'll go back to it soon, don't you worry. 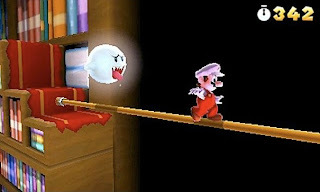 As for Mario 3D Land: I'll be interested to hear what peeved you later on. I'm guessing it's a bit spoiler-ish? Xenoblade: I would say at a guess, that you are still in the Gaur Plains (the knee area)? The large grassy area. Mario 3D Land: I got thru the first set of levels. 2nd set, while unlocking a cool little thing (won't spoil that) has some irritating levels LOL I generally hate timed gameplay. I generally find it a fake way to create difficulty. I just find it frustrating and usually the thing that makes me rage quit a game LOL (which is what happened). Ah, I'd forgotten about Mario 3D Land having a timer. Ugh. I hate that, too, especially in a platformer. Just let me go about at my own pace! Oh you know what I mean! Area of KDL3 levels just get really repetitive. You'll have to run up a hill for like 2 minutes, and you just keep seeing the same enemies. The design isn't interesting or fun. Though The Last Story isn't turn-based, it's a blast. It has some MMO stuff in it (the entire plot centers around Zael's ability to draw all enemy aggro), but the character development and gameplay are really special. I know. I just had to give you a (slightly) hard time about it! I still have to finish Fire Emblem: Path of Radiance and Twilight Princess; two games that came out in 2005 & 2006, respectively. Oh, KDL3 sounds terrible from a gameplay standpoint. That's too bad, as the series' creators generally make Kirby games so enjoyable. As for The Last Story: I've heard lots of people talk about how much they love it. Still not sure about it myself, but I definitely appreciate you sharing your thoughts on it. I'll let you know if I ever pick it up! Oh! I thought you meant something like, 'You might be poor next year, but not me!' Not in a mean way, of course, but in a playful one. Anyway, yes, I hope we're both as 'rich' next year as we are this year!